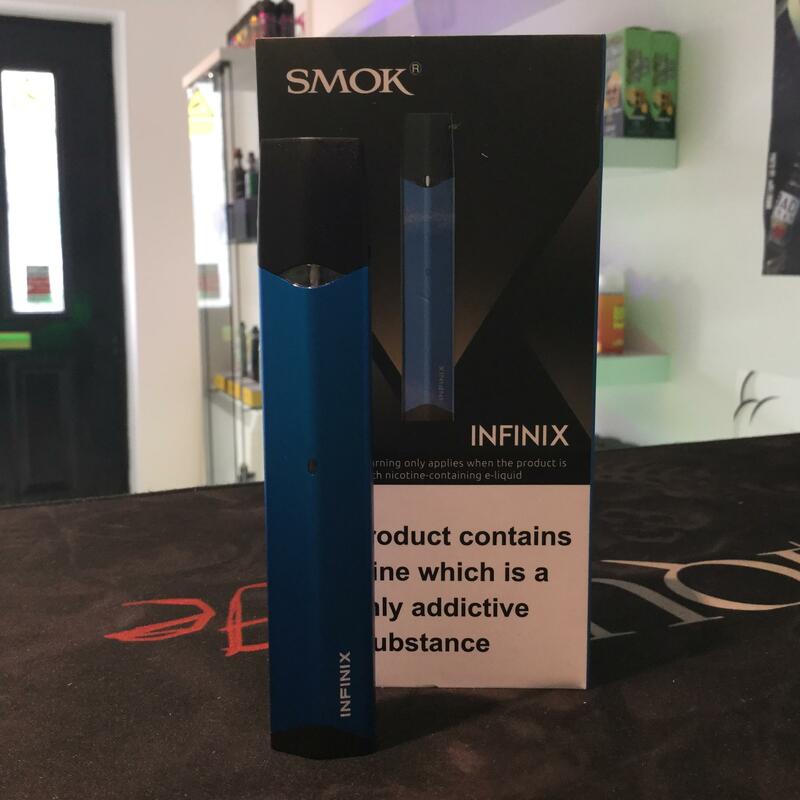 The Smok Infinix Vape Starter Kit is a pen-style pod device, and part of Smok's newest line of pod-kits. The Infinix has simplicity and portability in mind, it has a 250mAh battery and 2ml capacity. The unique cube designed body makes it easier to handle than cylindrical devices of the past. The Smok Infinix has no fire button, in its place an Air-Driven system, this activates the device when you inhale on it. The simplicity continues wiht the reflliable pods using the included eLiquid injection bottle makes the reflling process quick and easy. The Smok Infinix has multiple protection systems inclduing 8 second cut off, short circuit protection and low voltage protection.